We all know that sleep is an important part of our lives -in fact we spend about 1/3 of our lives sleeping. When you are well rested you feel happier, more alert, and more energetic. In other words, sleep is necessary for the brain and body to repair and develop properly, and that is especially true during the fist years of life. Quality periods of sleep are just as important for your baby as the food you provide! As parents, you may have witnessed first-hand the effects of a missed nap or a bedtime delay –it’s not a pleasant experience. The lack of sleep not only has an impact in your baby’s mood, but also in his attentiveness and concentration –which ultimately affects his learning and growth. When your baby is awake, every sound and movement is a new experience for which he will require energy to process. We know that babies devote most of their time to sleeping, right? But have you ever wondered how much of what you and your baby do together during the day, especially the learning moments, he will be able to remember? Is there an optimal time during the day when you should be teaching him new skills? Well, researchers from the University of Sheffield and Ruhr University Bochum in Germany had those same questions. They wanted to figure out the optimal time for a baby to learn a new behavior. They especially questioned whether a daytime nap, right after learning, helped babies remember. Their study focused on 216 babies between six and 12 months old, who were tested on their ability to remember newly learned skills. The researchers compared babies who didn’t nap after learning against babies of the same age who napped for at least 30 minutes within 4 hours of learning the actions. The results were very interesting: only the babies who napped after learning an activity remembered the targeted actions, while those who hadn’t napped showed no evidence of remembering the new information. They found that the best time for babies to learn is when they are starting to feel tired. But the story doesn’t end there. After 24 hours, babies in the napping group continued to show significantly better memory compared with infants in the no-nap group! 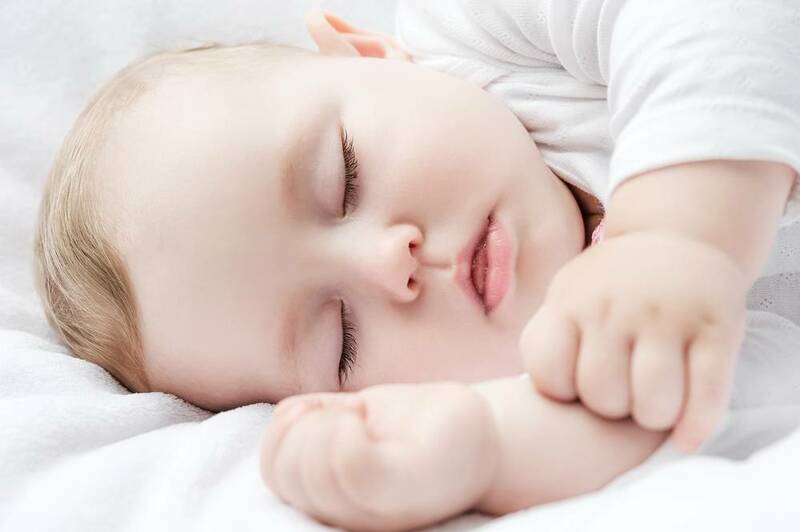 “These findings are particularly interesting to both parents and educationalists because they suggest that the optimal time for infants to learn new information is just before they go to sleep,” said Jane Herbert from the psychology department at University of Sheffield. An important takeaway about this study is the great learning opportunities parents can create around the time their baby goes to sleep or nap. It shows how activities like reading books to your little one before he goes to sleep are extremely valuable! 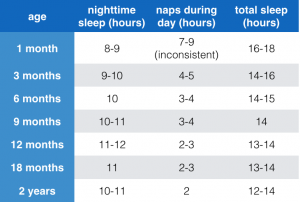 If you are wondering how many hours of sleep your baby should be having, here is a chart that can help you out! It’s important to note that the researchers found that naps that are shorter than 30 minutes don’t give babies enough time to retain their knowledge in the long term. So you might want to keep that in mind when setting your baby’s nap-time schedule! An important takeaway about this study is the great learning opportunities parents can make out of the activities around the time their baby goes to sleep or nap. It goes to show how activities like reading books to your little one before he goes to sleep are extremely valuable!